Back in the days, I played all the classic games. From Asteroids to Prince of Persia, through Golden Axe, Winter Olympics and Alone in the Dark. 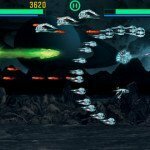 Among them, one of those games you either love (because it’s addicting) or hate (because it is hard): R-Type. The embodiment of a side scrolling shooter, almost redefining the genre for the coming years. 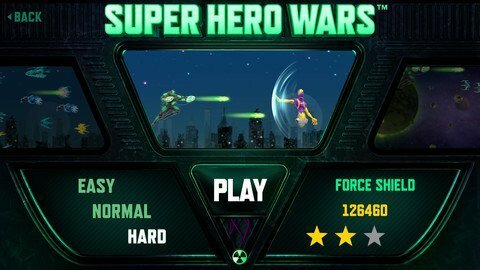 Super Hero Wars by YaAppz (you can follow them on Facebook here) is a jab at the genre, with the usual frenzied gameplay and hypnotic music score. Of course with 21st century graphics and superb touch gameplay. 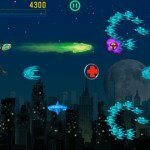 The controls are specially crafted for iOS, and fine-tuned for a very smooth iPhone gameplay (the game is not universal yet, but Super Hero Wars plays and controls well in 2x in an iPad.) You move your hero V.I.R.U.S. with one finger (anywhere in the screen) and tap anywhere else for an extra powerful blast, very useful when attacking final bosses. 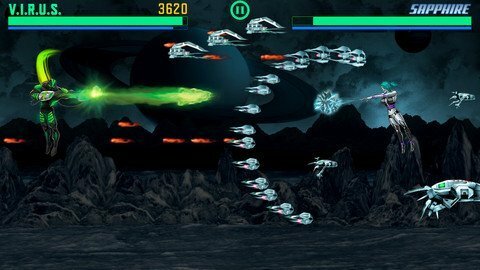 As for gameplay, it is a “standard” side scroll shooter, as R-Type was. 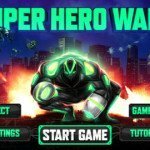 If you like the genre, it is awesome, if you don’t the only way to convince you is that you should try Super Hero Wars yourself. You’ll face endless hordes of enemies and bosses. 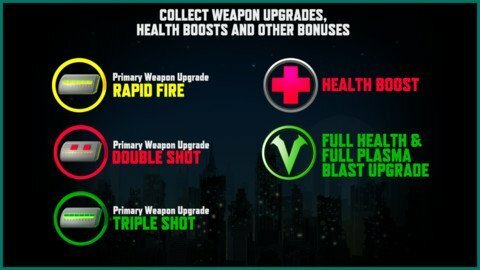 To help you along, several powerups are available (health, power and weapons), the only drawback is that they last for so little (pro tip: if you keep killing all enemies from the screen powerups last longer). You’ll be missing that triple-shoot when facing the final bosses, believe me. The soundtrack and sound effects are very good. Bullets and explosions are not noisy enough to dim the perfectly handcrafted soundtrack, which hums along your killing spree. 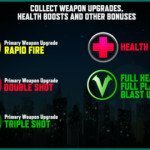 I recommend you give the soundtrack a try, it is different every level and adds to the stage’s atmosphere. Anyway, if it is not your thing, you can mute the music and play your own soundtrack (be it Wagner or Lady Gaga) to help you in your mission. 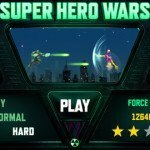 In short: Super Hero Wars is a good side scrolling shooter, deeply rooted in the R-Type tradition. YaAppz video page at Youtube. YaAppz! 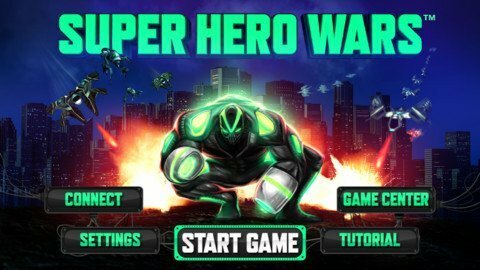 introduces Super Hero Wars! A fun, action-packed game inspired by gaming classics. 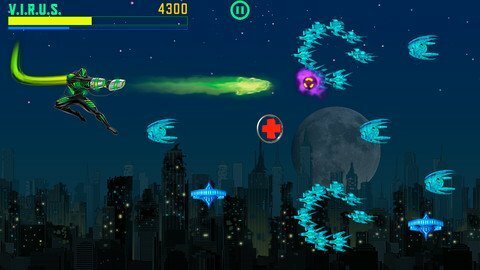 Play as the Superhero V.I.R.U.S, as you fly through different worlds, battling waves of minions, and ultimately defeating powerful Supervillain Bosses.